We are Manufacturer, Exporter & Importer of Aluminium Induction Cookware, Non Stick Cookware, Hard Anodizing Cookware, Stainless Steel vacuum Flasks and Vacuum Bottles. These products are highly appreciated by Brand NIRLON. 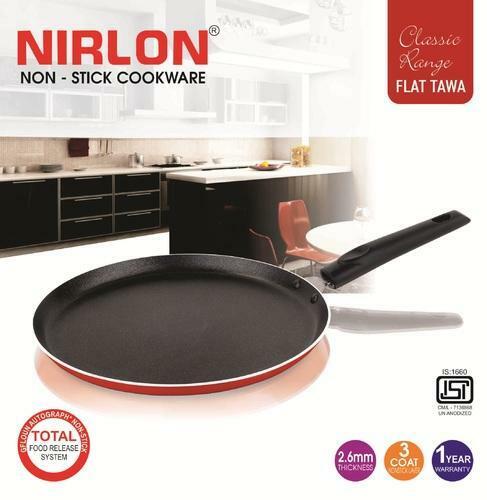 We are Manufacturer, Exporter & Trader of Nirlon Aluminium Non stick Cookware, Induction base non stick Cookware,Stainless steel Flask & Bottel,Gas lighter, Gas Cylinder Trolly and Cleaning Aids products. These products are highly appreciated by Brand NIRLON.